Every other euro profile cylinder on the market is vulnerable to burglary attack by snapping of the cylinder because, once snapped, the central cam of the composite door cylinder comes away leaving the internal mechanism of the composite door lock accessible to the burglar. All other snap resistant door cylinders try to stop the burglar snapping the cylinder. With the forces generated using standard tools such as mole grips or a claw hammer we believe it is impossible to stop cylinder snapping. Therefore we designed ABS to overcome burglary attacks by giving no access to the lock mechanism. The ABS cylinder has unique, patented technology, that retains the cam, solidly in position once the cylinder is snapped. With all other cylinders you would be faced with a gaping hole giving easy access to the lock mechanism. It is possible, due to the forces generated, to snap all other,so called security cylinders. 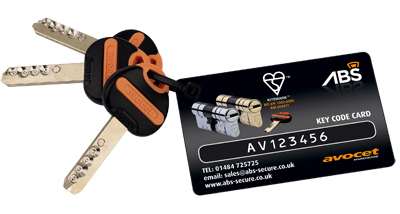 ABS is the only door cylinder lock that is genuinely snap secure without the need for additional security devices such as cylinder clamps, guards and security handles, all of which require machining of the door to fitt. This makes ABS the only truly retro-fittable product to overcome this attack method. You can upgrade your door with ABS in minutes. 90% of all UPVc and composite doors in the UK have europrofile locks which could be snapped, bumped or picked in seconds, leaving homes and possessions in the hands of an opportunist thief. 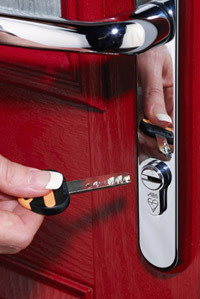 30 Seconds Is all it takes to snap a standard euro cylinder lock, the result - Quick and easy access!